+ Corset | Elegance Boutique – Dina (for Lara) @Cosmopolitan (12th Feb) – NEW!! 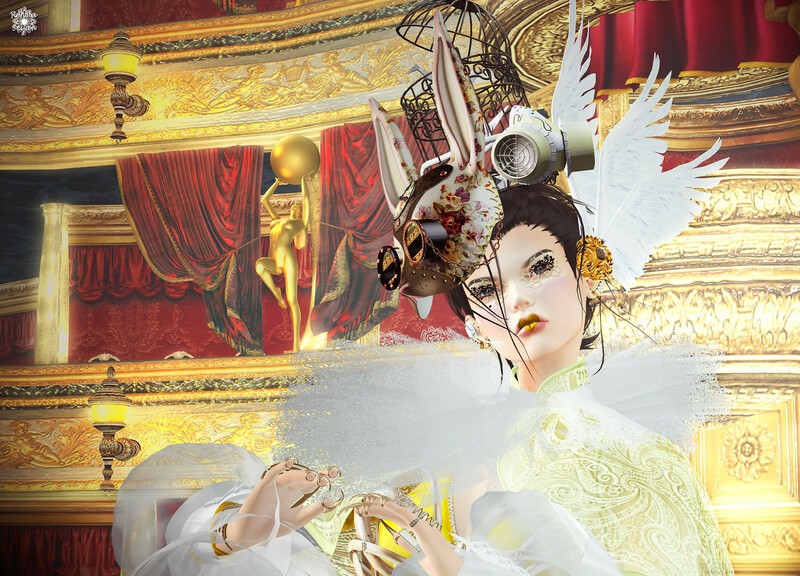 + Flower | LODE – Thorns and Grace (White) – Gacha @Shiny Shabby (15th Feb) – NEW!! + Shoe | PHEDORA – Sophia Boots (for Maitreya) @Uber (23rd Feb) – NEW!! + Hair | .Shi – Discorded (Mono) @Shiny Shabby (15th Feb) – NEW!! + Tattoo | Carol G – Fetish (White / for Maitreya) @Fetish Fair (Soon) – NEW!! + Outfit | JUMO – Maeve – NEW!! + Mask | JUMO – Mary Calavera Mask (4 Colors) – NEW!! + Nail | Nailed It – Halloween 2016 Set (for Slink and more) – Group Gift !! + Hair | .Shi – Hearken / Unisex (Mono) @Shiny Shabby (15th Nov) – NEW! !